Chop and add ingredients to the blender. Blend until smooth. Note: try adding 1 spoonful of fish sauce and fish oil. 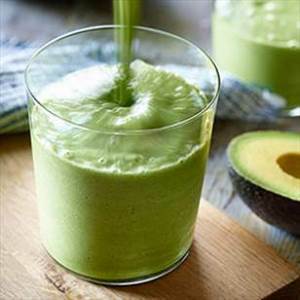 There are 112 calories in 1 serving of Avocado Smoothie. Calorie Breakdown: 78% fat, 18% carbs, 5% prot.